A tale of first love, bad theology and robot reincarnation in the Chinese afterlife. This is in the running for the best novella I’ve read this year. Clocking in at 60-ish pages, this is a fast afternoon’s read. 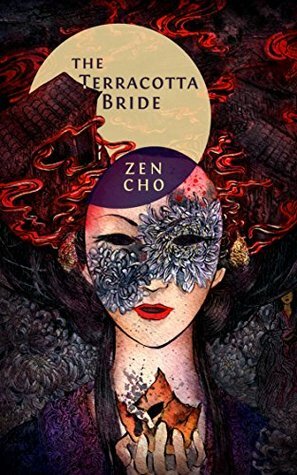 Featuring themes of a Chinese Hell filled with beurocratic demons, Christians lost in an afterlife not of their religion, and the peculiarities of arranged marriages in a polygamous household. Christian Siew Tsin just died and went to the Chinese afterlife, where her long-dead great uncle sold her into marriage with a fabulously wealthy husband as a second wife. It is an unhappy marriage in hell, for her dead husband married her to spite his also-dead first wife. When Siew Tsin fails to make him happy, he buys another wife- this time it’s a Terracotta Bride. Yonghua the Terracotta golem is designed to perfectly please her husband: capable of learning anything very quickly, play music well, and is even able to decisively defeat her enemies in combat. It was a fun ride, providing some philosophical commentary and moments of affection and love.